Very large apartment and an amazing location. Walking distance to everywhere. I highly recommend this place! Location is great and very close to restaurants, stores, supermarket. The staffs were very friendly and helpful with booking taxi & gondola! San Teodoro Palace is in a perfect location to walk around (and get lost in) Venice. The apartment itself is beautiful (wish we’d had more time to spend in it), and the access to the hotel’s offerings (fabulous restaurant, gondola rides - with champagne) just adds to the Venetian adventure. The check-in at the hotel was extremely easy and we were taken to the apartments by a porter at the hotel who was extremely helpful - it's about a 2 minute walk from the hotel. The apartments are amazing, very clean, extremely comfortable beds, beautifully decorated and have everything you could possibly need. 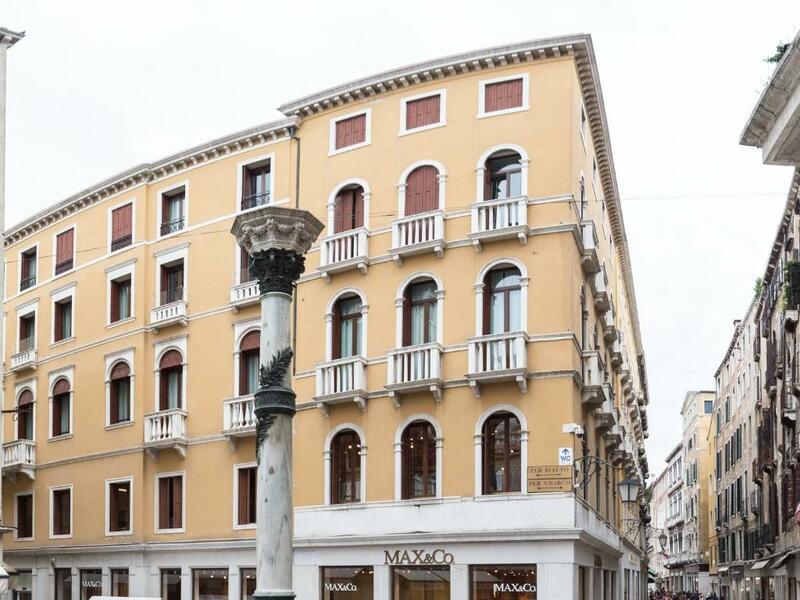 They are in a fantastic location - 2 minutes from the Rialto Bridge and 5 minutes to St Mark's Square with good shopping all around. The hotel who service the apartments arranged water taxis for us and we were able to leave our bags at check-out as we had a late flight home. We had a sundowner drink at the hotel before we left and we were given complimentary canapés. Every member of staff we dealt with at the hotel was extremely polite, friendly and helpful. I would definitely highly recommend the apartments. Our apartment was very well decorated, clean and equipped with everything we needed. The hotel staff are amazing and very helpful. We totally enjoyed our stay. Very clean and spacious. Very close to Rialto Bridge. Great neighborhood. We loved our stay at San Teodoro, check-in is in the hotel down the street but the bellhop (fee added) brought all our luggage to our apartment. It was in a perfect location to the Rialto bridge & short distance to St. Marks Square and although on a Main Street, our 2 bedrooms were in the back and very quiet for sleeping. We would definitely stay here again! Great location close to the Rialto bridge! Very clean apartments. Staff were extremely helpful, friendly and professional. 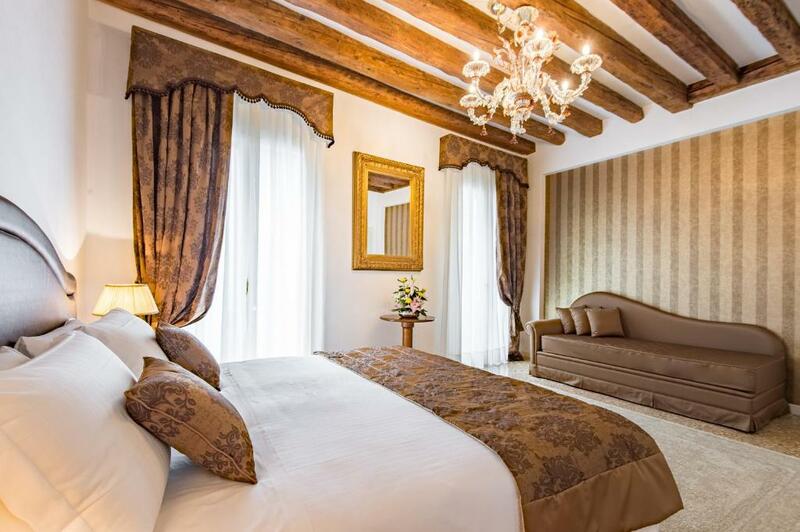 Lock in a great price for San Teodoro Palace - Luxury Apartments – rated 9.1 by recent guests! 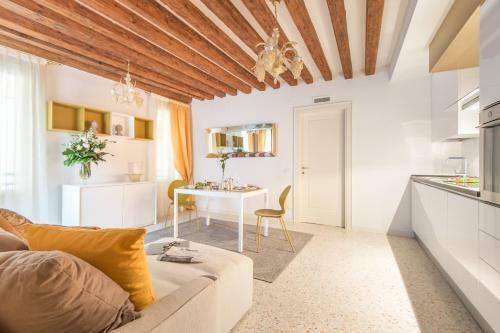 One of our top picks in Venice.Featuring free WiFi and air conditioning, San Teodoro Palace - Luxury Apartments is located in Venice, 350 feet from Rialto Bridge. Basilica San Marco is 1,300 feet from the property. Apartments feature a fully equipped kitchenette and seating area. A dishwasher is also provided. Piazza San Marco is 1,300 feet from San Teodoro Palace. Venice Marco Polo Airport is 5 mi away. San Marco is a great choice for travelers interested in museums, romance and history. 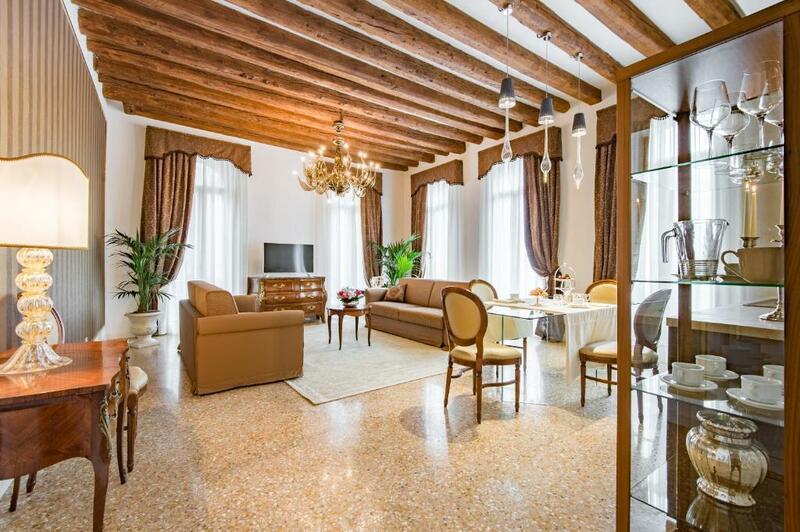 뀐 Located in the real heart of Venice, this property has an excellent location score of 9.6! 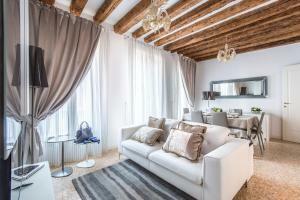 When would you like to stay at San Teodoro Palace - Luxury Apartments? 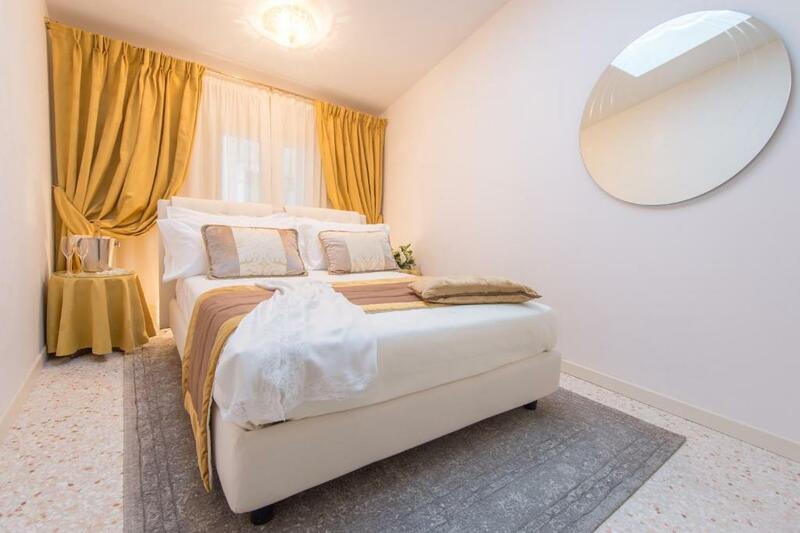 This soundproofed apartment features a dining area, fully equipped kitchen and spa bath. This soundproofed apartment features a dining area, seating area, fully equipped kitchen and spa bath. San Teodoro Palace è ubicato nel cuore della città, a 5 minuti da piazza San Marco ed a 2 minuti dal ponte di Rialto. la struttura è dotata di ascensore e tutti i nostri appartamenti sono stati appena ristrutturati completamente e dotati dei migliori comfort. L'attenzione al cliente è una nostra prerogativa, siamo sempre attenti alle esigenze di tutti i nostri ospiti, cerchiamo di soddisfare ogni sua richiesta. A San Teodoro Palace il cliente riceverà tutte le informazioni necessarie per scoprire i luoghi più famosi ma anche quelli più nascosto di una città magica e unica quale è Venezia. Lo staff degli appartamenti San Teodoro Palace proviene da esperienze decennali nell'ambito dell'Hôtellerie, anni di lavoro a contatto con il pubblico hanno fatto crescere l'esperienza del nostro staff per rendere il soggiorno di ogni ospite unico e confortevole sotto ogni aspetto. Gli appartamenti San Teodoro Palace sono situati nella zona più strategica della città, in soli 5 minuti a piedi si può raggiungere la splendida Piazza San Marco dove si possono visitare la splendida Basilica con i suoi tesori ricchi di storia ed arte. Il Palazzo Ducale, dimora in tempi antichi del Doge di Venezia e cuore della politica della Serenissima. Attraverso gli ''Itinerari Segreti'' il turista ed il veneziano possono essere accompagnati in un percorso che solo poche persone alla volta possono effettuare, per visitare il cuore del Palazzo Ducale fino ad esplorare le antiche prigioni. Siamo a due minuti a piedi dallo splendido ponte di Rialto, attraversando il quale possiamo raggiungere l'antico mercato del pesce, dove il turista come il veneziano, può ammirare gli splendidi prodotti che il nostro mare ha da offrire. La zona di Rialto è ricca di ristoranti e ''Bacari'', luoghi dove poter assaporare i famosi stuzzichini proprio come un vero veneziano. Area Info – This neighborhood is a great choice for travelers interested in museums, romance and history – Check location Excellent location – show map Guests loved walking around the neighborhood! House Rules San Teodoro Palace - Luxury Apartments takes special requests – add in the next step! ATM card San Teodoro Palace - Luxury Apartments accepts these cards and reserves the right to temporarily hold an amount prior to arrival. San Teodoro Palace - Luxury Apartments accepts these cards and reserves the right to temporarily hold an amount prior to arrival. 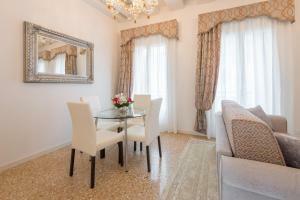 Please inform San Teodoro Palace - Luxury Apartments of your expected arrival time in advance. You can use the Special Requests box when booking, or contact the property directly using the contact details in your confirmation. Please note that check-in and key collection take place at: Hotel ai reali - Campo della Fava 5527, Venezia 30122. The management does a poor job of making you feel welcome. They don't let you use their gym. We were unable to use the spa bath because the plug did not seal. The shower hose and curtain were not effective. Each time we used the shower, the water would drip and soak the floor mat within a couple of minutes. The apartment is central and very close to many cost effective places to eat. We Love Italy is 2 minutes away (by foot) as well as lots of family run pizzerias. It was very was spacious and tidy. We appreciated having a washing machine in the apartment. We stayed for 4 nights - general cleaning occurs after you check out but the trash is cleared daily by a polite and friendly cleaner. Great location and customer service. No where in the booking process they say that you have to pay 40 euros extra cleaning fee. Nice apartment, good amenities, central location. Would have been nice to have more comfortable seating in living room and more towels and toiletries and more larger cups for tea.Some of the furniture was worn and tables either broken or unstable. Don't know where there was any "luxury"
We wish we had more toilet paper and cleaning supplies. The location and size of apartment was great! Spacious and comfortable. Centrally located. Apartment was clean and even equipped with a washing machine. Had to wait to get access to the apartment well past the check-in time. The apartment was spacious and clean, with a great location.